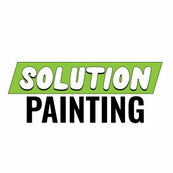 We are very happy to recommend Solution Painting. We liked the owner, Mario, as soon as we met him. He has a tremendous work ethic, one which he is passing down to his children. Melvin and his crew worked on our home and they couldn't have been more professional. They even shared their tamale lunch with me! Delicious! We plan to hire Solutions, again, when we paint the remainder of our house and will specifically ask for Melvin's team.